Andrea Benini (born March 14, 1977) is a musician, music producer and composer from Cesena, Italy. His works span from modern jazz to electronic/club oriented music with frequent incursions into Afro, Funk and deeper grooves. Andrea is the mastermind behind the band project MOP MOP. 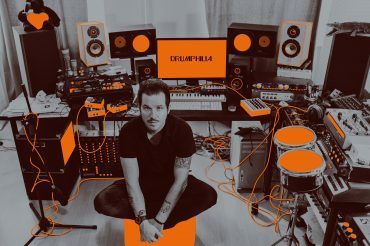 his new solo project is called “Drumphilia Vol. 1”- a journey inspired by early African electronic music and modern beats.